Have you ever paid attention to video format when watching movies? In fact, there are various video formats which are both similar and different. The unconventional one can be M4V. M4V is developed by Apple. It is similar to MP4 and the main difference is that M4V files can only be played on Apple devices. This may be inconvenient sometimes. For an iTunes user, what if he would like to enjoy iTunes M4V movies on mobile phone? Well, he can convert M4V to common format, like 3GP. 3GP is a container video format which is a simplification of MP4. 3GP is designed for mobile phones, aiming to decrease storage and make more available space. The most important is that most mobile phones can support 3GP. In 3GP format, we can enjoy the same quality of MP4 and save RAM at the same time. Then how to realize M4V to 3GP? Here is a M4V to 3GP Converter(For Mac & For Windows). It’s a powerful multi-format conversion tool for M4V movies including purchases and rentals from iTunes. With this easy-to-use M4V to 3GP Converter, you can enjoy iTunes M4V movies on mobile phone anytime and anywhere, even offline in the airplane! Besides M4V to 3GP, you can also convert M4V to MP4, M4V to MOV, etc. The following is a detailed tutorial about how to enjoy iTunes M4V movies on mobile phone with M4V to 3GP Converter. At first, you can download and install the converter on your Mac or Windows. Launch the converter, click "Add Movies" button on the top-left or in the center, there will be a list of your iTunes purchased or rented movies. Choose the movies you need and then click "OK". You can select output format by activating the dropdown list on the left-bottom corner. There are plenty of output formats available to choose, you can set output format for each video respectively according to your need. After conversion, you can find the converted iTunes movies in the output folder and transfer them to your mobile phone via USB cable. Besides, batch conversion is supported. No matter how many iTunes M4V movies would you like to convert, you can finish converting M4V to 3GP in one time. What's next? 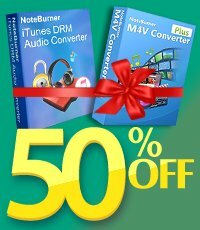 Download NoteBurner iTunes M4V to 3GP Converter now!